Just a few days ago a new final version of the most popular flight controller firmware Betaflight was released. The new Betaflight 3.2 version brings a lot of improvements, new features and more supported flight controllers. We will quickly go through some of the new interesting features and explain a bit more about these. Multicopter are in general extremely “noisy” machines. No, we are not talking about the “screaming” sound they produce, but about mechanical vibrations. High kV motors, not balanced props or bad-designed frames just make this problem even worse. The final result will be a multicopter that is hard to tune and fly. The team behind Betaflight has done already a great job in the past years to reduce the “noise” with various filters (gyroscope internal low pass filter / notch filters). And all of us pilots noticed the great flight performance. With the newest version of Betaflight the team even went one step further, introducing a dynamic filter. The data from the gyroscope is analysed in real time and the software looks for “noise” (specific frequencies). The “noise” is filtered more precisely than a static filter and only relevant gyro data is forwarded for the PID algorithm. You can enable the new feature by entering “feature DYNAMIC_FILTER” and then “Save” in the CLI tab within the Betaflight Configurator. Please note, that the feature is not to be used on F1 MCU based flight controllers, like Naze32, CC3D etc. On F3 flight controllers also don´t run gyro loop on more than 4k. This is really cool new mode, which could help you flip your drone after a crash. The new feature is only available for BLHeli ESC, that support the DSHOT commands. It works by reversing the motor spin direction by using your roll/pitch stick. You can check how to enable it and example how it works in the following video. The improved Blackbox data logging should be very welcome for those of you, who are using flight controllers without a SD-Card. Most of the flight controllers have about 16MB flash storage, which gets full pretty quick. 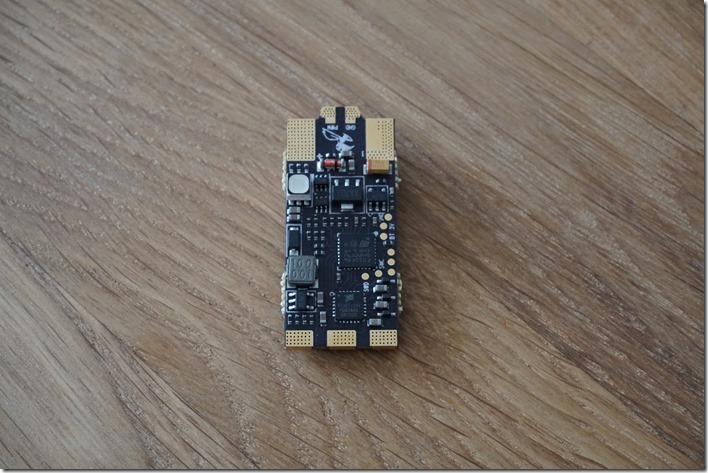 Previous version of Betaflight supported ESC telemetry data only from KISS24 ESCs. 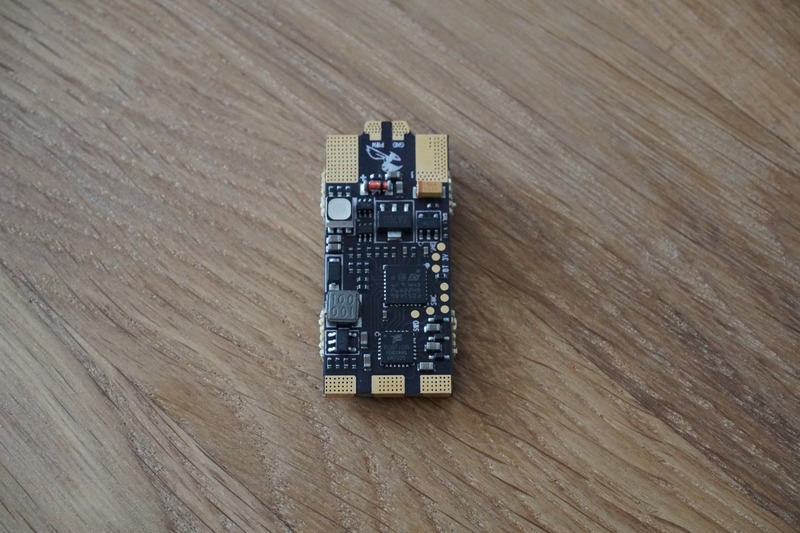 With the current Betaflight 3.2 you will be able to get telemetry data from some BLHeli32 ESC (like Betaflight BLHeli32 ESC) and show it on your OSD. 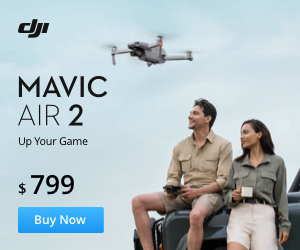 This new feature is also very cool, as you don´t need to put additional buzzer on your drone. You can configure the flight controller to trigger a beep by a switch. It uses the ESC (DSHOT support needed) and motor to make the beep. Last but not least, the Betaflight 3.2 support F7 MCU based flight controllers (like the Omnibus F7). These flight controllers are still not very popular on the market, but with adding more and more features to the firmware, at some point the additional processing power of the STM32 F7 MCU will be needed. Please note that currently there is an issue with the DSHOT protocol and some F7 boards. We are happy to see so much new features with this major update and are going to flash and test the new firmware very soon. We are going to test it on the newly released BetaflightF4 flight controller by FPVmodel. You can download the newest Betaflight 3.2 firmware from the official GitHub repository or flash it directly through the Betaflight Configurator. Review of the flight controller and its performance is going to be published soon. Don´t miss it and follow us on Facebook.